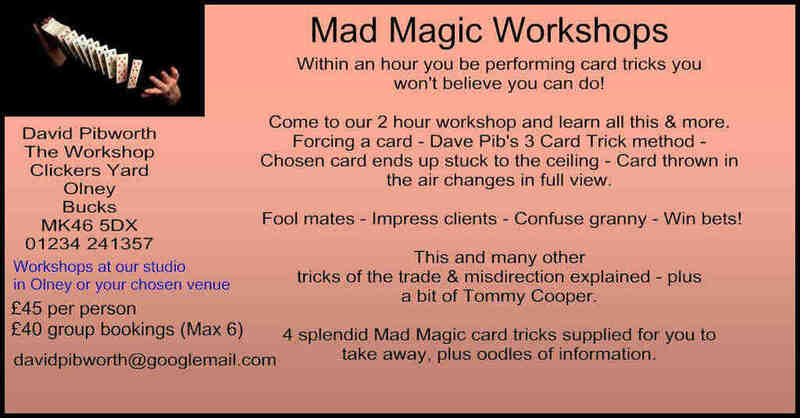 Being in Panto this year is also an opportunity for me to promote my magic business! I also have to make sure the hotel room is big enough to store it all. So I get there, suss out the local post office and work out my routine. "This year, I'm in panto on the Isle of Wight and it's brilliant!" I have a nice hotel with a swimming pool, steam room and jacuzzi, and they serve a damn fine breakfast. They even have a gym there which I occasionally go and have a look at. I don't use it, but I feel that at least it's there if I ever feel the need. Each morning, I get up, check the online sales for my magic business and package up everything that was ordered. I have a swim then sit in the steam room for 10 minutes. Heading down to the restaurant, I have kippers and poached eggs for breakfast, go to the post office, post the packages, buy a paper and am in rehearsals by nine thirty. The added bonus is that I do magic tricks wherever I am and if people are really interested and want to buy one, I have them with me. "I'm more or less a travelling workshop!" And the added income is the very reason I can afford to stay in a decent hotel with a swimming pool rather than shared digs with young actors and actresses listening to Little Mix all night. So all in all my panto season is magic.